HOUSTON, TEXAS – SRP Environmental joins NIOSH and other industry leaders to present at the American Industrial Hygiene Conference & Expo (AIHce) in May. SRP Environmental’s Director of Gulf South Operations, Chad Hyman, MS, CIH, CSP will speak about Upstream Oil and Gas Exposures as part of the Professional Development Course series at the conference. EHS specialists, safety professionals and risk management professionals in the oil and gas industry will learn successful strategies to align operational strategy with the need for reduction of identified risks and deployment of successful control strategies as taught by industrial hygiene practitioners. The Professional Development Course 703 titled “Upstream Oil & Gas Exposure – A Complex Problem” will be held at the Pennsylvania Convention Center in Philadelphia. The course is two-days, May 19 and 20 from 8 AM to 5 PM. Visit the AIHAce Website for Rate and Registration Information. 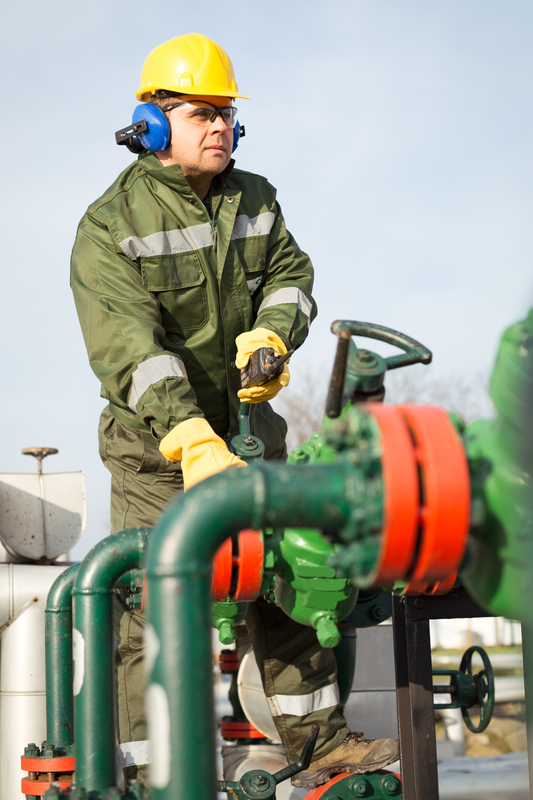 Identify physical and chemical health hazards found in upstream operations. Distinguish between exposure risks associated with normal and abnormal (i.e. emergencies) operations. Identify task-based and full shift sampling techniques for identified exposure scenarios. Identify screening techniques using real-time detection equipment. Apply strategies used by IH practitioners in the communication of exposure risks to stakeholders. Cite various exposure control systems and tactics deployed in the upstream industry. Chad Hyman began his career as an industrial hygienist and safety specialist with SRP Environmental. Hyman pursued an industrial hygiene management position in the oil and gas industry where he oversaw the implementation of a comprehensive industrial hygiene program and provided annual cost savings by minimizing the necessity of employees’ time and resources spent performing on-site sampling. In November of 2017, Chad Hyman became the Director of Gulf South Operations of SRP Environmental in Houston, Texas. With his experience outside of SRP, Hyman brings a real world perspective to industrial hygiene and safety solutions in the workplace. He is a Certified Industrial Hygienist and Certified Safety Professional. SRP Environmental is a full-service environmental, industrial hygiene and safety consulting firm headquartered in Shreveport, Louisiana. SRP assists companies in oil and gas, healthcare, manufacturing, chemical, and construction industries to ensure environmental and safety compliance. Since 1996, SRP has expanded to eleven locations in California, Colorado, Hawaii, Florida, Louisiana, Texas, North Carolina, and Pennsylvania to efficiently respond to their clients’ needs. Click below to sign up: Need your login credentials?